Gilead Sciences has its sights set on becoming a cancer drugmaker, and today it it took an important step in that direction by turning in a key application to the FDA. 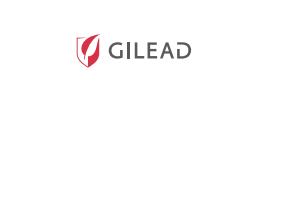 Foster City, CA-based Gilead (NASDAQ: GILD), the world’s largest maker of HIV medicines, said today it has filed a new drug application to the FDA for permission to start selling idelalisib as a new treatment for indolent (slow-growing) non-Hodgkin’s lymphoma. The company is aiming the new cancer drug at patients whose disease has gotten worse after they took the standard combo of rituximab (Rituxan) and chemotherapy. Gilead is hoping this application will be the start of something big for idelalisib, which was the key asset it obtained through the acquisition of Seattle-based Calistoga Pharmaceuticals in 2011. The drug is aimed at a molecular target known as the “delta” variation of the PI3 kinase pathway. That target is important to cancer biologists, because it is involved in multiple cell processes like proliferation, growth, migration, and cell survival. Research has shown that when this pathway gets switched into an overactive mode, it can lead to cancer and inflammatory diseases. Gilead and its collaborators see potential for this product in the treatment of certain blood cancers, beyond the lone use being singled out in today’s FDA filing. The current application hinges on one study of 125 patients with indolent, treatment-resistant non-Hodgkin’s lymphoma. The study showed that when patients got the new Gilead treatment on its own, 53.6 percent of them had significant tumor shrinkage and the median response lasted about one year (11.9 months). Side effects included diarrhea and neutropenia, a depletion of infection-fighting white blood cells. If Gilead wins FDA approval of the new drug, it would be the first delta-specific PI3 kinase inhibitor on the market. But it has competition chasing from behind, namely from a compound developed by Cambridge, MA-based Infinity Pharmaceuticals (NASDAQ: INFI). The new drug application is the second important filing Gilead has made for a new product this year. In April, the company sought regulatory clearance for sofusbivir, a closely watched new treatment for hepatitis C infections. It expects to hear an answer from the regulatory agency on that product in December.